Happy New Year!!! Don’t forget “The Twilight Zone” marathon on the Sci-fi channel!!! I want to bring back that classic story telling style of Rod Serling with stories that pertain to our current times. Help me bring back this forgotten gem that just can’t seem to be properly replicated! Well, I feel I have the skills to fill that void that needs to be filled today. Come check out the first episode “Out of Place” and let me know what you think. Most importantly, have a Happy New Year!!! 10 Christmas films sure to put you in the Holiday spirit!! The #1 Christmas Movie sure to put you in the Holiday Spirit is… I bet you are wondering what I’m going to come up with … I guarantee most of you have not seen this particular version… movie #1 is… the 1970’s version of “Scrooge” starring a young Albert Finney!! This movie is genius and is the best version of “A Christmas Carol” out there. I know a lot of people are pumping their fists in defiance, but don’t judge until you see it! I tell you it is fantastic! Now, I don’t know if you are aware of the difference between “A Christmas Carol” and “Scrooge.” “A Christmas Carol” is the novel that was written by Charles Dickens, “Scrooge” is the musical version of that story. That’s the only difference. It’s the same story but way more festive with an unbelievable score! Right from the beginning, this film will make your heart leap! It is nothing short of Christmas magic. I will not go a year without watching this film and I watch it on Christmas Eve every year. I will even watch it a couple of times, if time permits. I cannot get sick of this film. Albert Finney is phenomenal as scrooge. By far, the best scrooge out there. What I love about his performance is he doesn’t play Scrooge as this mean, overbearing, angry miser. He plays Scrooge as more human and scared instead of the usual insensitive, uncaring man. He makes Scrooge appear more human and real so when you reach the ending; you really get into to it because you truly do feel sorry for this man. You want Scrooge to snap out of his miserly ways and you cringe when you see his death coming near. Plus the music is so catchy and festive! I love every score in this film. The opening scores will make you laugh and bounce your head as you watch Scrooge go about his hideous ways. The middle scores will make you want to dance as the Ghosts try to change Scrooge’s horrible ways. Then the ending will make you want to get off the couch and dance around! I’m telling you, you will feel this huge wave of Christmas Spirit come over you. Everyone I have shown this movie to has loved it. I have shown most people in my family and I catch them bouncing there leg to the music and a twinkle of Christmas in their eyes! You for sure will be mouthing the words to one of the scores at the end called “Thank You Very Much!” It is such a catchy song and is the perfect song for the holidays. 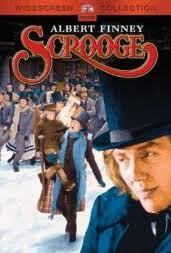 Then when Scrooge wakes up in the morning and has changed his ways, this movie explodes!!! I mean explodes with Christmas joy! Tears will form in your eyes as you see Scrooge scramble to give his kindness to everyone he can all at once. Albert Finney deserved a Best Actor Academy Award for his portrayal of Scrooge and this film should be a must see Christmas Classic every year! But for some reason some of these films slip through the cracks. Well, my mission every Christmas is to spread the word of this film to everyone and bring it back into the Christmas light. So please, give me and Albert Finney the perfect gift this year and watch the 1970’s version of “Scrooge!” I promise you, it will become a must see every year. This film will put the miserly misers of all misers in the Christmas spirit. If it doesn’t, don’t be surprised if you are visited by three ghosts yourself this Christmas Eve. The Description– I’m not going to insult Charles Dickens by trying to sum up his Christmas genius in a couple of paragraphs! If you don’t know this story yet, then you should crawl out of that cave you’ve been living in, there’s a world out there you know. So that’s it folks. 10 Christmas films sure to put you in the Holiday Spirit.” If you follow this list, I guarantee you will get into the Christmas Spirit or your money back! If you only watch one film from this list, make it “Scrooge!” It will surely become a new member of the family every holiday season. Have a very Merry Christmas folks! May you get everything you wanted and most importantly, have a fun time with family and friends on this Merry Merry Day! 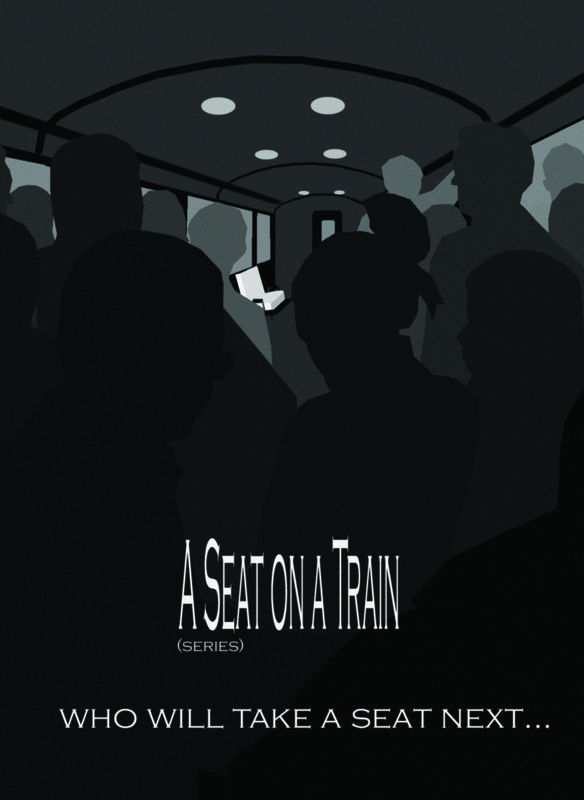 Last chance to see the 1st episode of “A Seat on a Train” before Christmas! Support your struggling artist by going to www.aseatonatrain.com and watch the series I wrote and directed. It’s free! Posted in 10 Christmas Films sure to put you in the Holiday Spirit!! Now, this film was a given and I’m sure you expected it to be on this list. To my surprise once again, this was a film that got panned by the critics and didn’t do well in the theaters at all. “It’s a Wonderful Life” had such a bad opening that MGM Studios decided to release “A Miracle on 34th Street” in May, fearing it would also have a bad opening during the holiday season. Well, this was a genius idea because “A Miracle on 34th Street” ended up doing record numbers going into Christmas. Regardless of how badly “It’s a Wonderful Life” did at the beginning, it would soon become a Christmas favorite and for a good reason. When I think of Christmas, this is the film that comes to mind. Frank Capra directed a rare masterpiece here. I warn you, it is a long film and can get a little slow at parts, but the payoff at the end is nothing short of a Christmas miracle. When you finish this film you will want to go running down the street screaming “Merry Christmas!” This movie really gets you into the Christmas spirit let me tell you. I cry every time I see it because the ending is so full of meaning and says so much about human kindness! 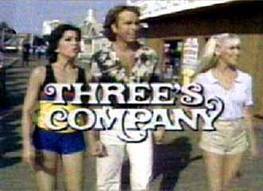 If everyone acted like Jack Bailey does in this film, we wouldn’t have wars, poverty or hunger. Jack Bailey is everything I strive to be in life. No matter how successful I become, I always want to be humble like Jack Bailey. 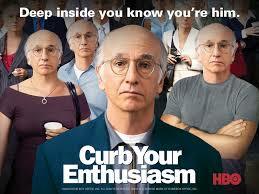 I think we should sit every greedy pig out there and make him or her watch this film! They probably wouldn’t get it but it would be nice to show them how human beings should really act and what Christmas is all about. Don’t get me wrong, I love capitalism but I can’t stand it when people use this great system to excuse indecent behavior! 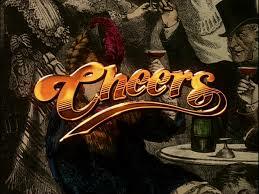 I am tired of people screwing others over, knowing it’s wrong but hiding behind the excuse of it being business! Capitalism is not an excuse to screw people over and be a bad person. Sorry, on my soapbox again. The Description– Jack Bailey had big dreams in his life. He was soon going to college and planning on making a real success of himself. But when his father suddenly dies, he is forced to take over his banking business and skip college all together. He stayed running the bank, marrying his high school sweetheart and having 3 kids. His life appeared perfect until tragedy striked and Jack Bailey sees his world around him come crumbling down on Christmas Eve. In a fit of hysteria, Jack Bailey heads over to a bridge, planning to commit suicide. He jumps in the ice-cold water only to be saved by an angel named Clarence. Clarence claims he has been sent down by god to save Jack’s life. Jack, unconvinced, wishes that he never existed. He feels he has done nothing with his life and thinks that everyone would be much better off if he wasn’t born..
Well, the whimsical Clarence decides to give him just that. Jack Bailey gets a rare gift this Christmas Eve. He gets to see how life would have been if he was never born. He soon realizes that he had a much larger impact on everyone’s life than he thought and gets the biggest Christmas gift ever to be gived, his life back. 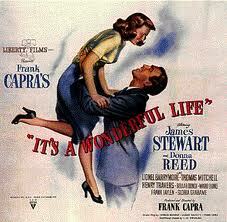 So if you are a miserly Scrooge, I suggest you watch this film twice, even though you probably wont get it. But just maybe something will sink in and you will conduct your life in a more humane way. Who knows, Christmas is a time for miracles. But as for all you good people out there, this film is a must see for Christmas. “It’s a Wonderful life” is sure to put you in the Christmas spirit and is apart of this Holiday just like eggnog, presents and missile toe.